Once again, Microsoft was approaching E3 on the back foot; not only in clawing back the substantial lead Sony had with PlayStation 4 sales but also with the hearts and minds of PC gamers. But it seems that being the underdog continues to bring out the best in them. With an early win this year thanks to their partnership with Oculus, Microsoft continued down the Virtual Reality path by also announcing a partnership with Valve VR which all but ensures these platforms will be the standard for years to come. In addition, it makes sure that Windows 10 is right there with them. The Xbox presentation opened with a bang thanks to a game montage backed by the thumping score from Man of Steel. Personally, I’ve enjoyed what MS have done with a lot of their marketing recently which has capitalized on that underdog vibe. After that it dived right into Halo 5: Guardians giving us a glimpse of both the campaign and multiplayer. As excited as I am for the game, the campaign demo felt a little wasted as it was focused on the new characters in their search for the Master Chief and didn’t drop any new plot details that might add to the hype. The multiplayer demo however revealed something new in the form of Warzone, a multiplayer mode that appears to not only throw in two teams facing off but a pile of AI combatants to further increase the chaos. It makes me think of a bigger and better Spartan Ops (from Halo 4). With multiplayer game modes running off dedicated servers, this should ensure the experience is a consistent one for all players. 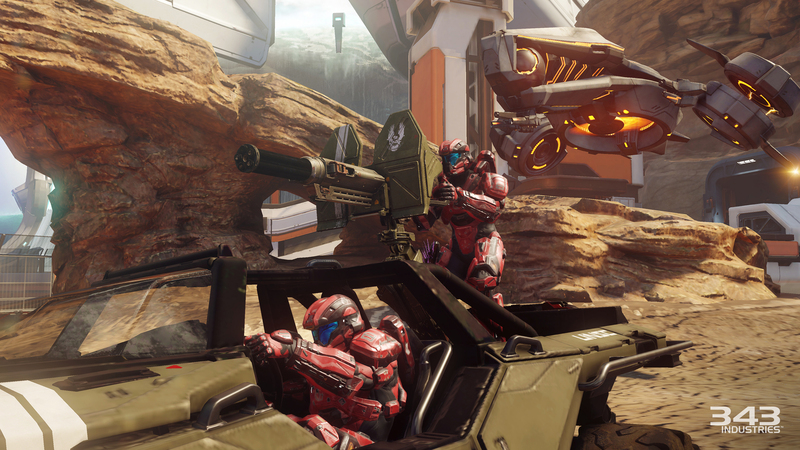 Halo 5’s Warzone multiplayer mode sounds like it might be worthy of being called the REAL “Big Team Battle”. Phil Spencer then appeared and made a couple of big announcements. The first was a surprise with Xbox One soon being able to play Xbox 360 games. Previously this appeared to have been put into the “too hard” basket but the Xbox team have worked some magic and from what we’ve seen so far in preview it works surprisingly well. And the process for enabling more games is a small task for publishers so it’s really up to them what 360 games we’ll be able to revisit on the console. And in a veiled broadside at PlayStation Now, he noted that players should not have to pay for games they already own. The second announcement was that a new controller was coming. Not as a replacement for the existing one but for those players who want the best. Incorporating programmable settings, removable components, hair trigger switches and even paddles, the “elite” controller is bound to set you back a hefty sum of money when it arrives later this year for both Xbox One and Windows 10. The controller you will sell your soul to own. The ID@Xbox showcase once again showed a boatload of games and Cuphead continues to wow with its 1930’s animation inspired graphics. It’s due next year so there’s still some waiting left to do there. A new program was also announced that is the equivalent of Steam’s Early Access program. 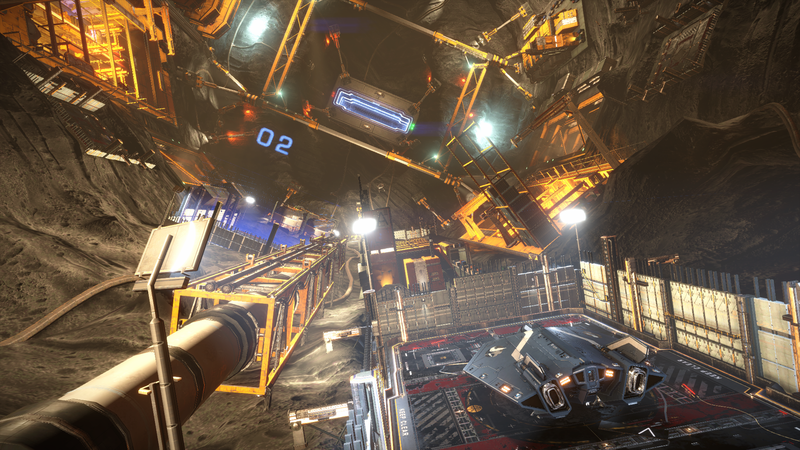 Elite: Dangerous became one of the first games using this program and offers early adopters a discount on the purchase while the game is in this phase of development. Maybe the biggest OMG moment for me was seeing Minecraft running through HoloLens – this may be something I will never see or play for myself but it is impressive as hell. I could imagine a dungeon crawler game with four players crowded around a table, each with their own HoloLens, sharing the experience together. It’s not going to work for every game but for some this could just be the coolest thing ever. We also got to see what The Coalition, Microsoft’s Gears of War studio, is up to and as had already been revealed the original game is getting a remaster as Gears of War Ultimate Edition. One big thing in the favour of this version is that it appears it is not being priced as a full priced game which might convince many to revisit this part of Xbox history. In addition, there was a preview of Gears of War 4. Not a lot was shown that might have pushed the console’s limits and the characters of the original trilogy are missed but it’s on its way in 2016 and many a chainsaw will be revved in anticipation. After the Xbox presentation, even more was revealed by Microsoft. 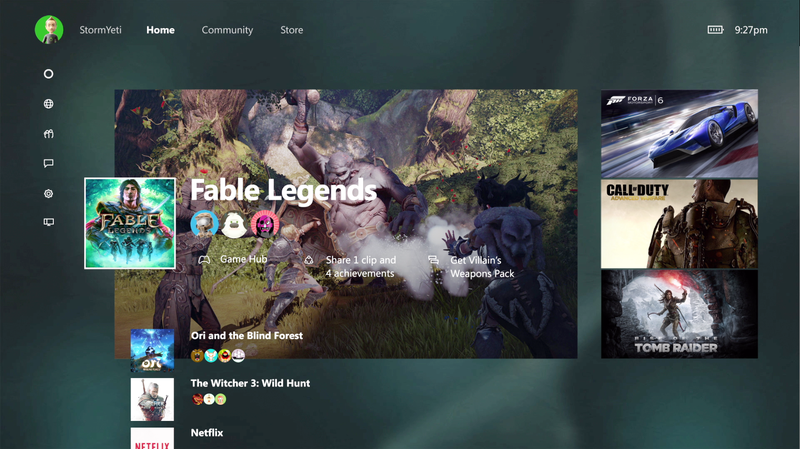 After months of discussion, a preview of the upcoming Xbox One dashboard update reveals an incredibly streamlined interface that is meant to be faster and more intuitive than ever. Parts of it also seem to echo the Xbox 360 guide which will make a lot of people happy. The upcoming dashboard update sweeps away the clutter in favour of speed and convenience. For those in the PC arena, Microsoft has a couple of treats in store for you too with Windows 10 PCs getting their own versions of Killer Instinct (with cross platform play) and Gears of War Ultimate Edition (supporting 4K resolutions). Like last year, the Xbox presentation is all about the games and features that are coming soon. There were still plenty of 2016 titles in the mix but the majority of the big titles are coming this year. And even though backward compatibility might seem a small thing there are already reports of people upgrading to Xbox Ones because they know they’ll still be able to play their old games. With Gamescom later in the year, there is still more news to come. Especially for anyone interested in Quantum Break and Crackdown. It’s taken time but Microsoft are finally putting themselves in a position where they are no longer following the leader but showing them a thing or two about giving their customers what they want. In the end, we all win from it and it’s great for gamers. The Windows 10 integration and the backwards compatibility were big pluses for me. 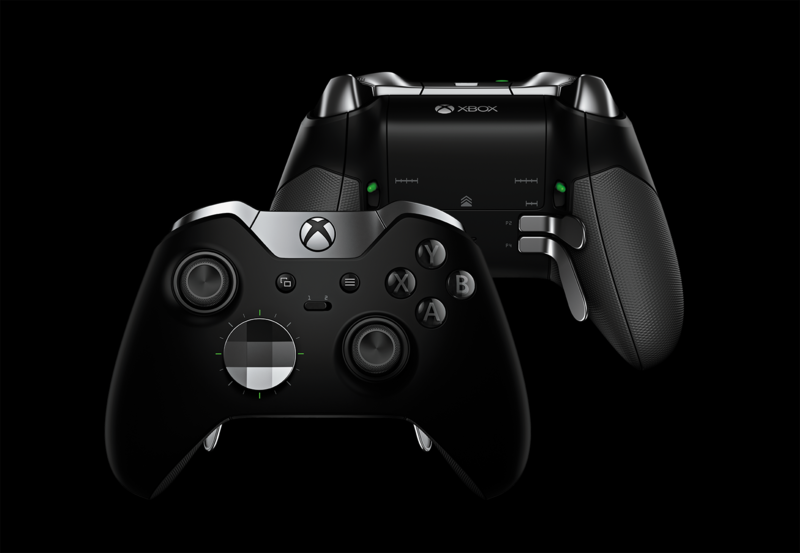 That new elite controller looks damn fine too.